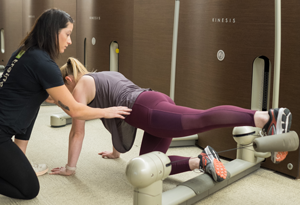 Kinesis is an alternative form of personal training emphasizing controlled movements. It enhances strength, balance, flexibility and cardiovascular fitness. 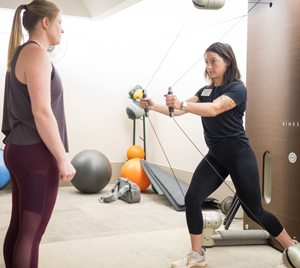 With an emphasis on "core" training, your muscles work together as an integrated unit, balancing strength and providing equal time on the abdomen, sides, back and other areas deep in the trunk. Reserve time slot and instructor by registering at the Member Experience Desk or call 913-327-8010. Classes are limited to seven participants, min. of 4. New classes can be formed for you and your friends. Contact: Brandi Ventre at 913-327-8081 or email for more information.